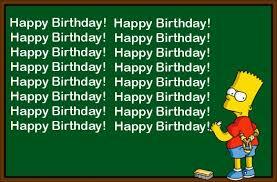 08/12/2014 08/25/2014 Mike S.17 Comments on Happy Birthday To……………Us! Topix Turns 1! Happy Birthday To……………Us! Topix Turns 1! It is with extreme pride and excitement that I bring you this post to announce to the world that August 8th was TopiX’s 1 year anniversary. I am truly amazed that 12 months ago we boarded the train for this adventure and are still going strong today. I wouldn’t feel right celebrating this milestone without paying a little homage to TSTOTips. Tips was the site that started it all and is where all of us here at TopiX came from, whether it was admins or readers. It was the downfall of Tips that lead to the opportunity for TopiX to rise in its ashes. But for his contribution to the Tapped Out world and all he stood for I’d like to say Thank You to Mr. T, for starting it all. We may not be the biggest game blog or the best, but if you’re reading this, you’re here and that’s what counts. Our whole purpose is to bring you as much enjoyment and education for Tapped Out as we all do as players. We hope in the last year that our goal has been met, for the most part, and strive to become better with each update. Thank you to all of our fellow sites, there’s a ton, and thank you to all of our readers, for if not for you we wouldn’t be here. Here’s to another year!! Makes me so happy to see you still going. The world would be a sad place without Mike n “the boys” and our darling Em. You all have brought such great joy to me. That is for sure. Even back in the days on the other site when I would harass poor Mike (not really harass…more try n make him laugh). I am sad to see all that hard work gone though. Wish there was a way to still retrieve it. Mike put a lot into it as well as this site. Congrats! You are the best of the TSTO blogs. Literally, the best. Happy Birthday guys and girls. After Tips I found this site and it has been my goto site ever since. Pretty much check this blog daily, it’s a great read and you should be proud. Congrats, looking forward to the next year! Happy birthday Guys & Dolls! Happy Birthday! Thanks for everything you do!!! Followed you over from the Tips-site, and never regretted it. I checked the old site and it is gone for good now. It is rather a shame, because there was still so much useful information in the archives, and that’s all lost now. Well, never mind, if ever I am looking for something in the future, I am sure I will get an answer from you guys. Happy Birthday TopiX! And if Homer were here, I bet he’d say the same thing! LOL! I can’t believe we’re here… I found you guys on tips just before it was taken by… ‘Them.’ When I found out about topix by theadipose (love your channel!) I went ballistic. I could not believe you guys got another site. And then, here we are. I don’t know what’s next with this site, but here’s to another year! Happy birthday!!! I also was a TSTO Tips reader who followed you guys here. Keep up the good work. Congratulations Mike and the rest of the TopiX team! You were always a great source of knowledge and information when I first started playing TSTO around the downfall of Tips, and I’ll always be grateful for the help and guidance. Previous Poll Results! : On September 28th, One Will Die… But Who?